I get many queries from people who wish to know if I accept guest posts on Famous Great And All. And if I accept what are the guidelines. I figured that it would be easier to write the guidelines in a post and just refer everyone here. Yes, I do accept guest posts. Below you will find all the details about the process. Anything that is useful for my readers is good content for a guest post here. It can be related to any topic in general but it should have the inspirational content in the article. Below are the list of topics I usually accept as a guest post. Famous Personalities - Life, Biography, Accomplishments and Quotes. With regards to Quotes, you should mention what have you learnt from the specific quote., Books - Reviews, Anything on History and Facts, Poems, etc. It should mandatory be derived from your own personal experiences. There is no minimum length or maximum length for your post. Your post cannot be an advertisement for your product. If you wish to advertise kindly refer to advertisement policy. Your post must be original and must have never been published before on the Internet or print or otherwise. You agree to not publish the post anywhere else (i.e., in your own blog or as a guest post in other blogs or in print.). However you can post a summary of the post on your blog and links to the post that is published here. You can include one link per 300 words. Include relevant images to support the write-up. Please include the image source if images are taken from the internet. At the end of the article, kindly include small bio. This can again be linked up with your about page or your facebook page according to your requirement. Please confirm that you are willing to engage with my readers in the comments about your post. This is hugely important and a non-negotiable. My readers have come to expect this. I will remove the post entirely if I find out you are not engaging with my readers. And needless to mention no link up would be made with you in future. You can send the articles in the word document. Make sure to include the author byline at the bottom, with the link to your website already formatted (do not spam keywords there, though). Author byline should not be more than 3 lines. If you have a post that meets the guidelines above, you can send it to me on the email famousgreatandall@gmail.com. Please include the post in the body of the email itself, or as a .doc attachment. 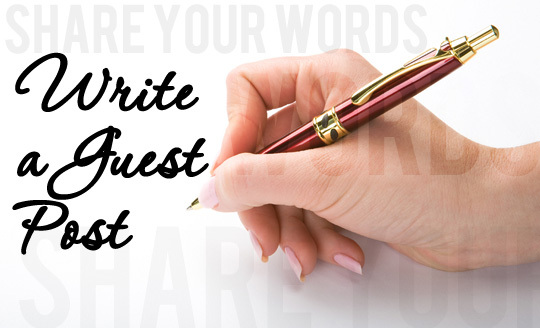 I check and respond to all guest post submissions twice a week, so it might take up some time before I get back to you. This does not mean I have rejected your post though, and even in case of rejection you should get an answer from me about the rejection.